We begin this stage during our initial meeting where we get to know one another. We focus on what your specific needs are and collect important information from you before we develop a plan. We want to do the best job possible for every client. 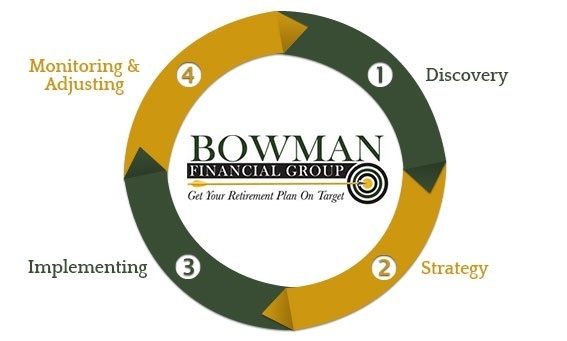 We work with you to create a customized plan to achieve your financial and retirement goals. Your plan will be built on a sound strategy that incorporates your needs, time horizon, tax situation, and risk tolerance. Once you have fine-tuned and accepted our plan, we will implement your custom tailored strategies. Our well trained staff will keep you informed during all stages of implementation. We will set up regular meetings so that we both monitor progress and changes in your situation. We hope to exceed your expectations. Recommendations and strategies are adjusted over time to best address your evolving goals.